The caldarium (the hot room), was heated from the furnaces, with the floor raised up on suspensurae (brick piers) and the walls lined with air spaces to allow the circulation of hot air. The caldarium has a vaulted ceiling decorated with a strigil design in stucco. 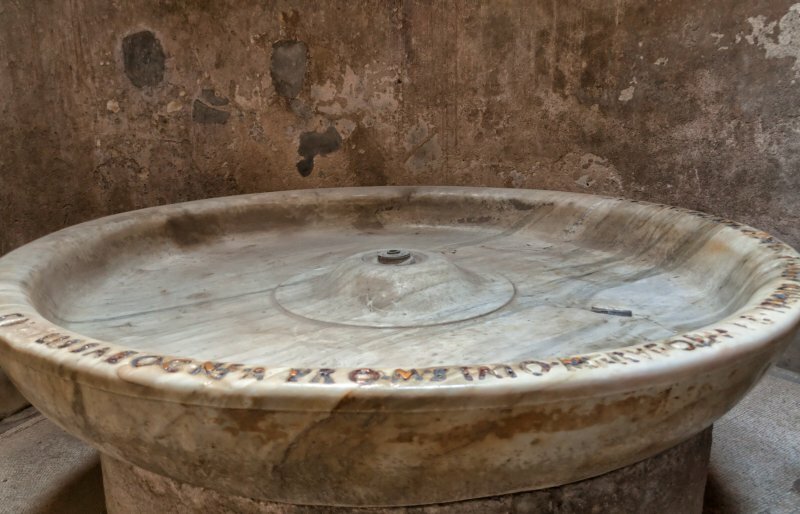 The apse at its southern end contains a labrum or marble basin provided, according to the inscription, by the duoviri Cn. Melissaeius Aper and M. Staius Rufus for the not insubstantial sum of 5250 sesterces.